Halloween can be a scary time of year – both when it comes to all those ghosts and goblins wandering the streets, and when it comes to oral health, too! Here, our Grande Prairie dentists offer some tips to keep your child's smile healthy. 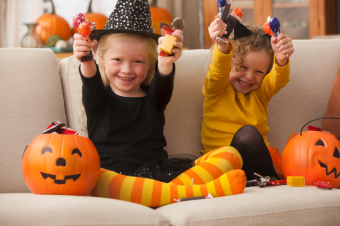 The Access Dental team believes that balance and moderation are the key to getting your kids through Halloween with their healthy smiles intact. While you want your kids eating healthy foods most of the time, you also don't want them to miss out on all the Halloween fun. And treats and candy are a part of that. When it comes to dental health, not all candy is created equal. Limit candies that are extra sticky, such as gummy candies and toffee, since these have a way of clinging to teeth for a long time. You may also want to limit candy that remains in the mouth for an extended period of time; for example, bubble gum and hard candies. These types of candy increase the exposure of the teeth to sugars, which gives bacteria and plaque more opportunity to thrive. For kids, one of the best parts of trick-or-treating is emptying their bags of hard-earned loot and digging right in when they get home! While you don't need to prevent them from doing this, you can keep it under control by letting them choose a designated number of treats, and then rationing out the remaining candy over the following weeks. 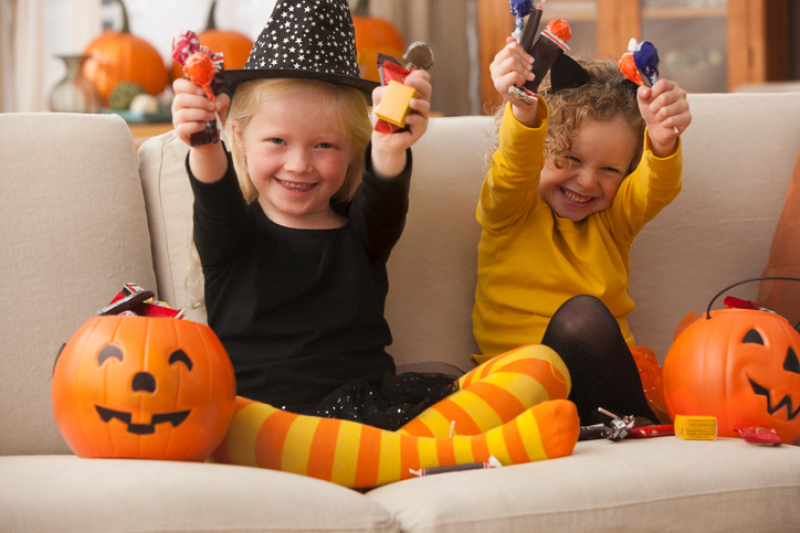 Since your kids will be consuming more than the usual amount of sugary treats during Halloween, make sure they take extra care when brushing and flossing. Monitor their brushing and flossing if you can, and make sure they carefully clean each tooth. This may also be a good time to invest in and electric toothbrush for your child, to help them be more thorough. Candy is an important part of Halloween, but it's not the only way to enjoy treats at this time of year! Happy Halloween from the Access Dental Team! Contact us any time for more advice on keeping your kids' smiles healthy.